“Hold your reality.” While that phrase might not make sense to you at the moment, you’re about to see how incredibly important it can become for your confidence in communication with anyone, especially when it comes to dating and relationships. What do I mean when I say, “hold your reality”? Simply put, you must be more certain in your reality than you are in someone else’s (in this concept, reality is the way you perceive the world). Let’s use an example: If you’re talking to someone, and you’re allowing your mind to become consumed with thoughts like, “He doesn’t like me,” or “She thinks I’m weird,” or “[insert negative thought of choice here],” then you’re holding that person’s reality higher than your own. If I’m talking to someone who thinks I’m really boring, is that my reality? Do I have to think that, too? Why do we automatically assume that other realities are more valid or real than our own? Speaking truthfully, if someone is bored, that’s his problem . . . it’s only our problem if we believe we are at fault. If I think my story is fascinating and worth telling, however, all of a sudden I’m holding my reality. Do you see that distinction? What would that do in your life if you knew your reality was valid? First of all, it’s easy to assume a lot of reactions are boredom if boredom is what you’re looking for. More importantly, though, why is that a factor to begin with? Why isn’t your internal reality more important? Let’s say you want to be more spontaneous with a woman, but you’re afraid she’s going to judge you. What’s the worst that can happen in that situation? She turns you down or makes some kind of disgusted face and thinks you’re weird? You’re only weird if you buy into that reality. If someone makes a face at me, I might just make an even more absurd face at her. In that moment, I’m showing that I don’t buy into that reality: “I’m not weird, you’re weird.” I’m holding onto what is real to me. That’s why it’s called holding your reality. Multiple realities are going to be coming your way 24/7. If you’re like I used to be—the nice, accommodating guy who wants to make everyone happy—then you’re really going to have to focus. There’s always going to be a little part of you that wants to give in to that other reality. Try coming at it from another angle: if someone seems annoyed, instead of assuming that it’s because of you, try asking yourself what might be going on with that person instead. Here’s an example from life: I was walking along one day and passed a woman with her daughter. Very simply, I said, “Hey, guys, how’s it going?” She responded with a really dramatic face, as if to imply that I was a complete weirdo. Though I could have made it about myself, I thought, “Huh, she’s really uncomfortable.” In that moment, my reality was impenetrable. Anytime you find yourself giving in to someone else’s negativity, you’re not holding your reality. Anytime you’re obsessing about what someone thinks of you, you’re not holding your reality. Anytime you get down on yourself because you think someone is upset with you or because you think someone doesn’t like you, you’re not holding your reality. If you notice it happening, stop what you’re doing; stand tall and firm and strong, roll your shoulders back, take a deep breath, and remind yourself to hold your reality. Do it right now—close your eyes and tell yourself that you are holding your reality. You must start to adopt this practice on a daily basis. Believe it. Own it. After all, your reality is what informs every moment of your life . . . it should be your own. Until we meet again, may you have the courage to be who you are and to know on a deep level that you’re awesome. 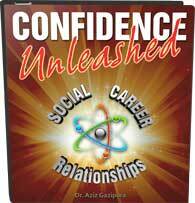 If you are looking to take your confidence to the next level then check out The Confidence Code: An interactive video training program that teaches you the 2 fundamental components of confidence — self-esteem and social skills. When you have high self-esteem and you like who you are, confidence just comes naturally to you. What realities have you been avoiding? What challenges have you noticed? What are some things you can start applying today? Comment below, I would love to hear your thoughts! great blog and fantastic video. Excellent article. 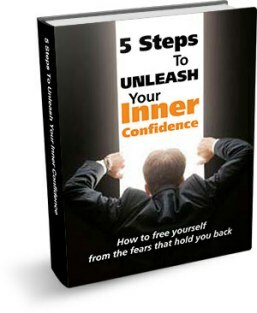 Of everything I’ve read I haven’t heard of this exercise in building your confidence.